Indian designers are displaying much more novelty than before. The list of the most successful artists is not an easy one to make. Considering the current talent pool, it is probably at an all-time high. Until very recently, we had only a handful of them—we knew each of them by name. However, that’s not the case anymore. There are innumerable designers with incredible talent. The evolving runway scene has thrown open many doors for every kind of designer. This has made designer-wear accessible and affordable than what it was a few years ago. With flagship stores spreading into retail stores in every city and the brands showcasing their latest collections on their official portals, owning a piece of gorgeous designer wear is easier than ever. The fascinating fact for me, however, is the fact that each of them has a unique style to offer, each better than the other. Be it, khadi, earthy, traditional or contemporary, our options are overwhelmingly abundant. Having said that, there are a few designers with such inspiring journeys we should all know and the tales they have to tell translates into their work which we can see right through. That’s really why I’m here today, to list them out here—from fashion gurus to new age designers—you must know and follow them. I follow him everywhere possible (on social media, of course). AI am an ardent fan of his collection, vision, and definition of style. He is known for making thought provoking statements. And the above quote from one of his interviews did that to me. When you see success stories like these and read about them, you know why they are where they are. It is the attitude more than anything else. Period! Sabyasachi is a name that resonates with bridal wear in India. Every Indian bride wants to dress up in Sabyasachi, and that’s like taking your wedding to a whole new level. 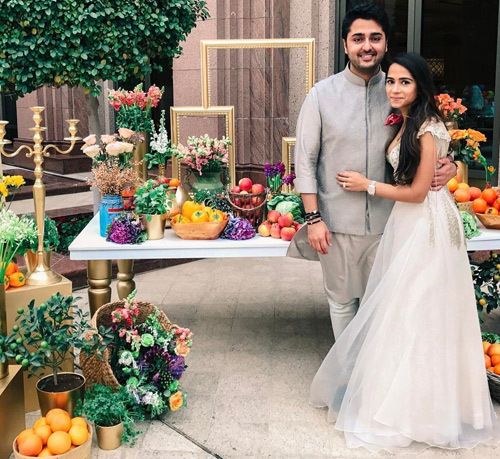 In fact, he has also been doing that for free, for brides who cannot afford his clothesline, through the popular TV show ‘Band, Baaja & Bride.’ He also started affordable, everyday wardrobe for women, and wants to be known for his diverse styles and not just for bridal wear. We are glad. .. And his work, designs, and dresses reflect just that. 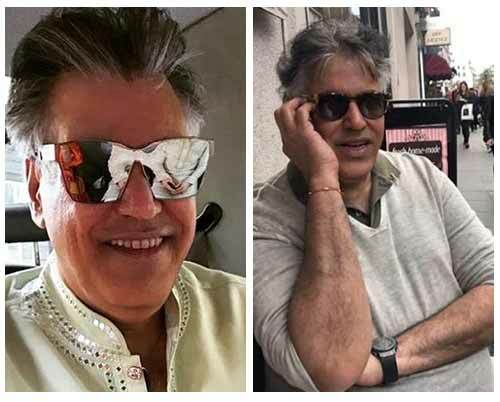 A man who is known for dressing up many of our Bollywood stars both in their reel and real life. He never makes any of us realize the difficulty that goes into blending with a character. And, how each of them come with a sense of style that needs to come alive on screen. It speaks a lot without having to say anything and the perpetual efforts that go into making it all look effortless. That’s really why we are not surprised that he’s the choice of designer for every second film in Bollywood. His instincts work in tandem with his creativity which is a combination you don’t see quite often. Without any formal training, he debuted with designing for Sridevi in the movie Gumrah to designing for Michael Jackson on his trip to India. That’s what we call growing with passionate in the literal sense. 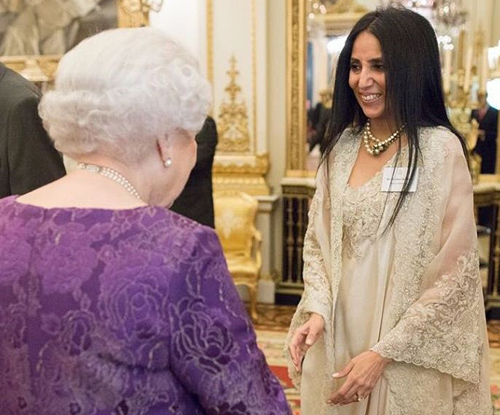 Unassuming girl next door from Jaipur, moving to Mumbai; starting life with two sewing machines in a bedroom to opening two stores in America, four labels under her name and dressing up the Duchess Of Cambridge. What are the odds? A dreamer and an achiever in the truest sense. She meticulously planned her labels to cater to the different needs of customers. She believes one should wear brands and not the other way round. And that’s why her dresses are not consuming, over the top or loud. If you are a sucker for eclectic and elegant designs, she has that and a lot more for you. And, that’s where and how he started. Another inspiring story that arose from a small town Rourkela in Odisha. A curious kid who found his way up and one day found himself designing for the then FLOTUS Michelle Obama on several occasions. He made news for setting the recent New York Fashion Week on fire in a thought provoking way and winning the Young Innovator Award—a man who knows it all. A man who made a niche for himself from a clothesline meant for evening wear and nightgowns is now into designing fine jewelry with De Beers And Forevermark. Making it big and making us proud. His tryst with needle started at the age of 12 when he would sew clothes for his sister with old saris and tablecloths. 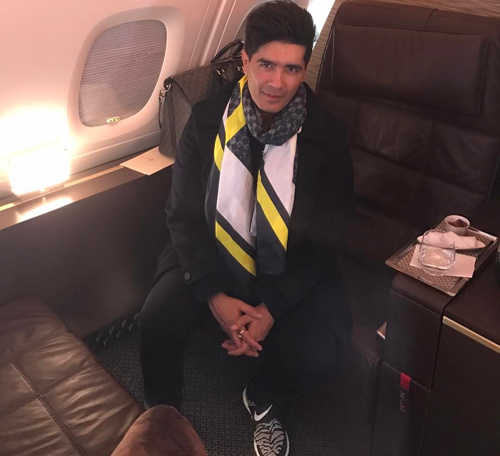 After his one-year management course, he moved to the US to study Masters In Economics at the Utah State University, only to stumble upon his life’s dream fashion by shifting to Fashion Institute Of New York. In his words “he left India with a suitcase full of spices and life full of dreams” and never looked back! 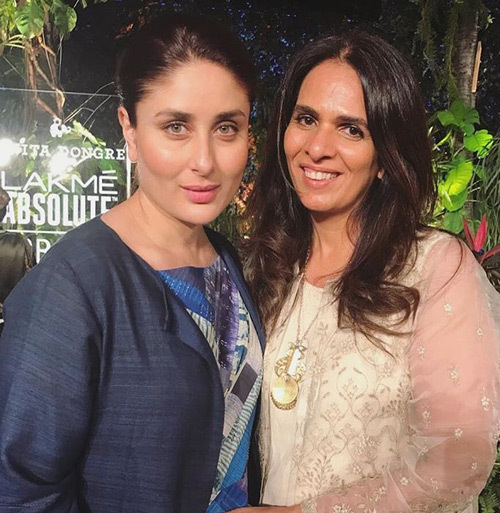 Little did we know that the most sought after Bollywood’s favorite designer started taking her life and education seriously only after she flunked in college while studying fashion designing course. Her biggest revelation was when she won the best designer award in college. And, it did not stop there. 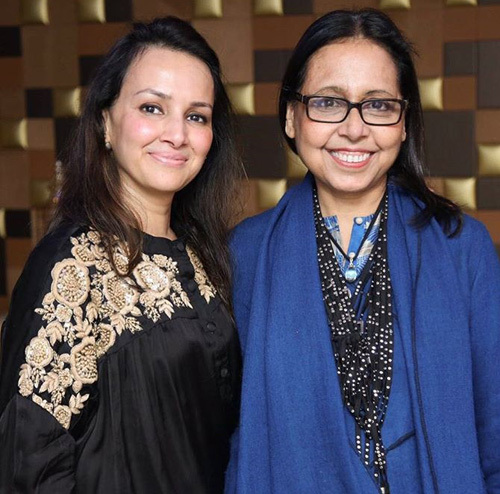 She is known to be the most awarded costume designer in Bollywood. Her first full-time designer role in Bollywood was for Sridevi in Lamhe. Having worked for almost 300 films in seven languages, she’s unstoppable. Other blockbuster films Neeta is associated with are Devdas, Jodha Akbar and Kochadaiiyaan—where the emphasis was on costumes. Considering the effect costumes have on the screen canvas, she outdid herself every single time. Of Course, she’s all about pret-a-porter at Fashion Weeks as much as she is about creating the perfect silhouettes for period dramas. An ideal balance of contemporary and ethnic wear is what you get from her label. 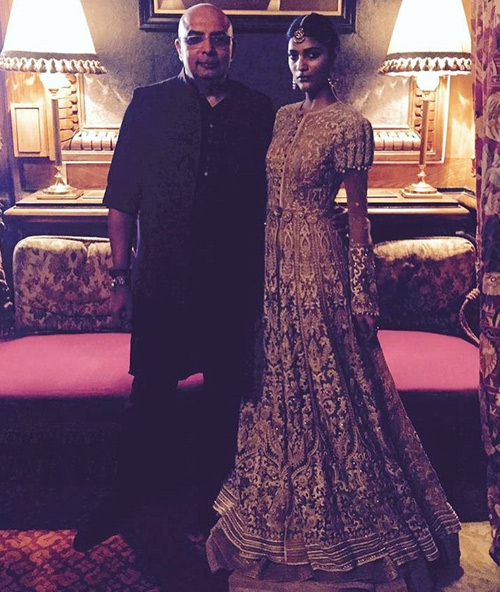 Taking inspiration from a Japanese designer, Sanjay Garg was the revival the fashion industry has been looking for. His idea of style is raw and unfinished. His efforts to bridge the long gap between fabrics and style are commendable. The brand Raw Mango caught up like wildfire, and now five sarees from his collection have found a permanent place in the collections of Victoria and Albert museums. He found a niche which is minimalistic and understated ethnic elegance; he stayed true to it. 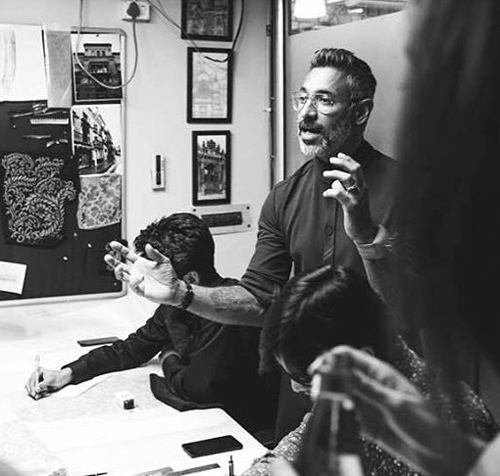 With a couple of weavers, a team of enthusiastic designers and an immortal spirit he set out to work on making Chanderi a more wearable, manageable and fuss-free fabric. What started as a brand not many were sure of, to opening the show at Lakme India Fashion Week 2017, there is little else to tell. The person who pioneered boutiques in India. Ritu started her career forty years ago with a modest set up of four hand block printers and just one table in a small village near Calcutta. Progressive, traditional and contemporary is what her label is about. She took it upon herself to bring ancient Indian traditions to the millennial generation and deliver it in modern style. Her contribution to the Indian fashion industry is humongous, and she has been awarded the prestigious ‘Indira Gandhi Priyadarshini Award’ for her contribution in the field of fashion. From a little boy running errands for his father’s sari shop in Hyderabad to winning the best designer award in the latest Lakme India Fashion Week—Gaurang Shah is a self-taught artist; bringing back Khadi to where it belongs, which is otherwise withering by the day. Working with over 500 weavers from four states now, actually started with only 10 of them from Hyderabad. However, none of this has come easily to him. From overflowing closets of painfully difficult yet beautiful handmade pieces being stagnant; to now inspiring young designers to use khadi, linen, and cotton in ways that have never been seen before, Gaurang has come a long way. Bollywood designers are now a significant chunk of his loyal customers. Working equally well with organza, silk, and kanjeevaram or any other fabric for that matter is his USP. If you haven’t already done it, do check out his collection ‘Kalpavriksha’ that he presented and won the best designer award for. It is a beautiful amalgamation of intricate handwoven designs by Jamdani designers from Bangladesh and Andhra Pradesh. A fashion aficionado who knew that fashion was her thing from a very young age. 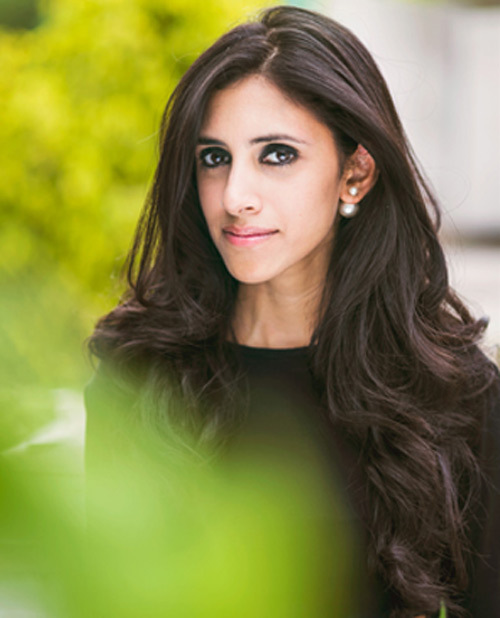 The parent label—Payal Singhal is 15 years into this industry and going strong, catering to her long list of young clients. She has evolved over the last decade and a half as an exemplary designer. Her collection is a refreshing take on Indian wear but with a very new age design. Like the backless choli for a lehenga, lycra suits, cowl pants with short satin salwar. Her runway collections are ravishing, yet pret-a-porter. And, you will know it’s Payal Singhal when you see one. Affordable, edgy and stylish are constant while the colors depend on her mood and state of mind. India’s first designer to present her label at the Paris Fashion Week a decade ago and a piece by Business Of Fashion Magazine. The piece was about how Anamika Khanna’s designs were all about Indian touch and technique but with a western outlook. Right after which she signed an offer from Britain’s leading retail giant Harrod’s. Her unique and distinct sense of styling separates created ripples in the fashion industry. It is now a real deal. 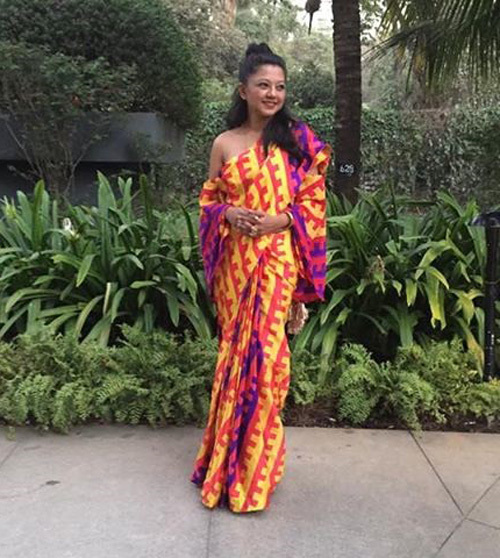 Dhoti saree that everyone is raving about right now is her brain child, and so is the idea of using a cape for the Indian attire. Signatures like these put them on a scaffold and what keeps them going for over a few decades. Dreaming tof growing up as something or someone we see everyday (as children) to actually becoming one, is not as easy as it sounds. You still need passion, dedication, and fascination to turn that into an actual profession. That’s exactly what Nishika Lulla went on to become. Her mother influenced her heavily because of all the trips she would make with her kid. But, what makes her label ‘Nisshk’ unique is that it caters to youngsters—teenage to roughly 30 years. She identified this gap in the market and quickly moved in that direction. The fabrics that you will mostly see on this label are tulle, net, lace and sequin which work so well for her target group. Bling, chic and vibrant just how they like it. Now that’s what we call passion. Have you heard of ‘Ensemble.’ Yes – great! No? 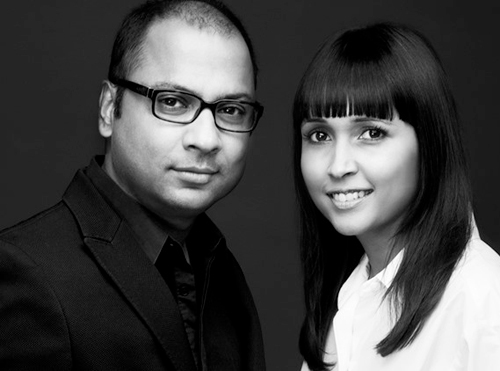 Well, It is India’s first multi-designer boutique started by Tarun Tahiliani and his wife, Sailaja Sal. Started in Mumbai featuring the work of the top five designers, it now has retail chains all over Mumbai and Delhi. Tarun then started his bridal line which was almost an instant hit and a label that left brides-to-be, dreamy. He is also one of the very few designers who begun to increasingly get invested into designing clothes for men in the ready-to-wear segment and catered to wedding dresses too. 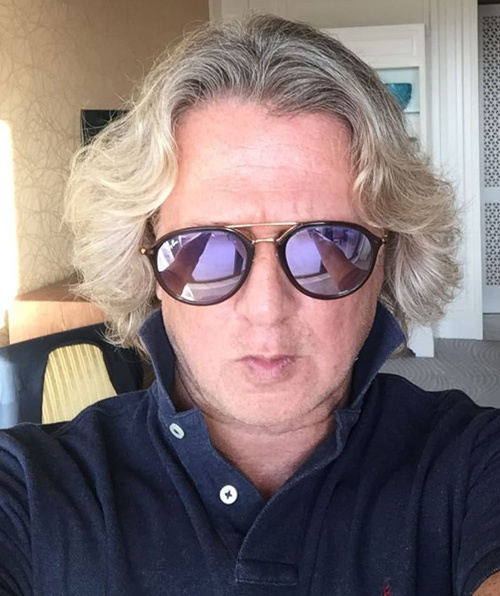 He is the heartthrob of not only Hollywood celebrities but also Hollywood stars like Lady Gaga who once draped Tahiliani’s ivory saree and screamed ‘I love Tahiliani.’ Oprah Winfrey and Elizabeth Hurley are other global stars Tahiliani designed for. Another inspiring story of a young and passionate girl. 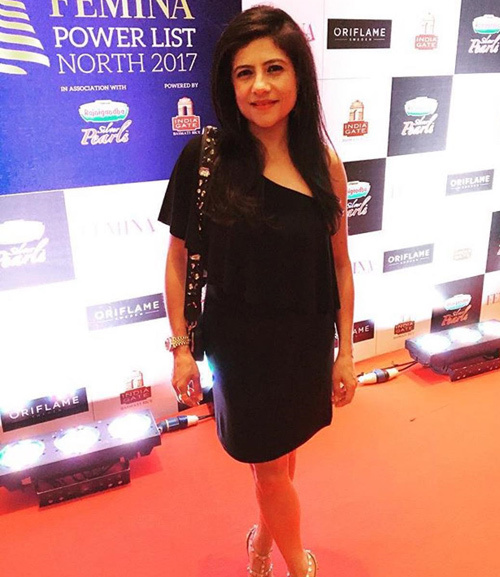 A coming of age designer who gained popularity within no time started designing for some of the top Bollywood celebrities. She quickly turned into their hot favorite too. It was apparent when actors and celebs on the Red Carpet would say ‘Ridhi Mehra’ to the question ‘Who are you wearing’? She also comes from a household that is into the business of selling clothes. 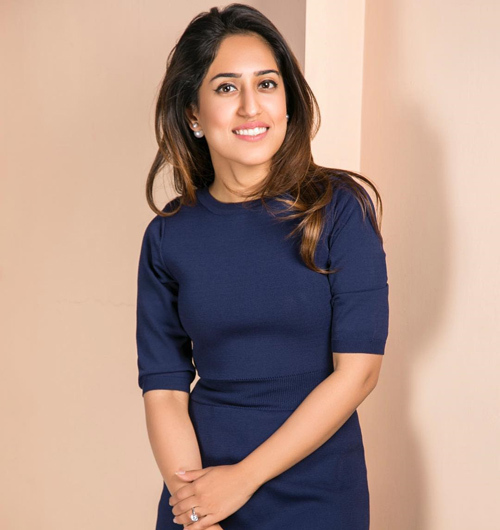 After her business management course in the UK, she took up a course in Fashion designing in Delhi, worked as a store assistant to her mother and aunt for three years before launching her own label, whose primary focus was bridal wear. But she also slowly moved into making ethnic wear with a contemporary touch. She is known for her offbeat jumpsuit designs too. 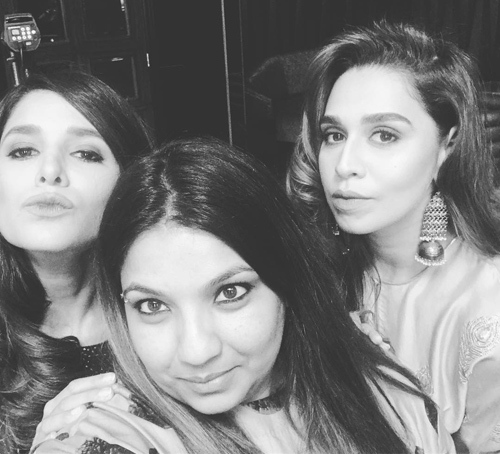 It did not take her too long before she hit the runway at the Lakme Fashion Week, which she considers by far the most special moment of her life. She is a lot of things, but inspiring is one word that best describes her. Masaba Gupta is winning hearts and sweeping everyone off their feet as the most promising designer. Her story and struggle are equally inspiring too. Unlike many other millennial designers, fashion did not occur to her at the snap of a finger. She juggled and struggled with a lot of things before she earned herself the title ‘The Most Promising Designer’ at the Lakme India Fashion Week and also becoming the youngest ever to receive the award. We are not surprised at all. Her eccentric and eclectic outfits had geometric, bold and path-breaking silhouettes with kaleidoscopic colors. Pocket saree, denim saree, and polka-dot jumpsuits have been instant hits and hot favorites. The brothers make a winning team and they have been there for close to two decades since the launch of their label. They are a creative combination of both arts and commerce which gives them the edge of market dynamics while drawing artistic inspiration from their passion. That’s really how they were able to take off with full strength and stay there too. The idea was to infuse vintage with contemporary and targeted the urban market mostly the younger crowd. Chic, elegant and stylish, just how the demographic prefers. And, it was quite a smooth launch because they knew the pulse of their audience. Bridal, contemporary and haute couture were all hits, but they didn’t stop at that. They went on to tie up with Adidas, and it makes them the only Indian brand with an alliance like this. The jersey for one of the top team from the Indian Premier League (Mumbai Indians) is designed by them. They are now into interior designing and redefining expanding horizons. A designer whose work is majorly influenced by European culture and heritage, especially after having worked for brands like Yves Saint Laurent. After completing his formal education in London School Of Fashion specializing in costume history, he came back home and got into design collaboration with BMW, Judith Leiber etc. In fact, he is the only international designer for Judith Leiber, which is known as a premium and luxury handbag giant. And it was just the beginning of many such creative collaborations he got into internationally. He also hosted a show for Star World called ‘Sumeet Verma’s Style Guru’ which was aired in South East Asia. From one thing to another, his wings are widely spread, the world over. 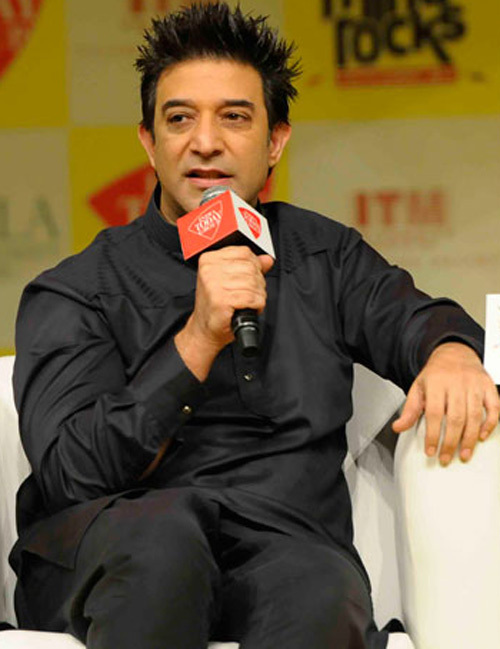 In India, he owns a retail chain of multi-designer stores which also feature his collections. 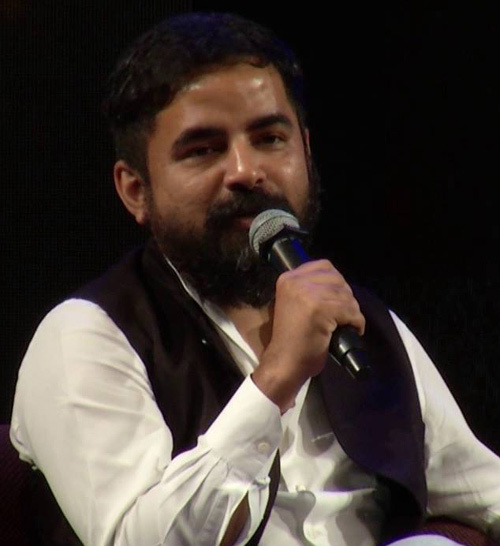 He is known for designing bridal wear for the elite and premium weddings in India. Primarily, that’s what his Haute Couture is about too—for the elite and the NRI audience. A believer in not just textiles, crafts and ancient Indian heritage, but also in the natural process of designing clothes. She believes in weaving, block printing, vegetable dyeing, etc. Her contribution to reviving our traditional techniques is immense. The 25-year-old label is synonymous with luxury couture. 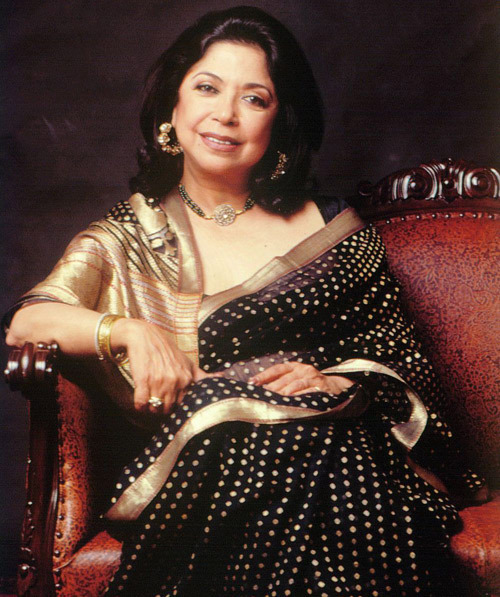 She won accolades for her designing in the period drama Ram-Leela. The intricacies of the costumes used in the movie speak volumes about her zest and zeal for craftsmanship. With interest and passion for traditional designing, it felt like it came pretty effortlessly to her. Fabrics like chanderi, zari, banarasi and kota are what defines her label. While the perception of South Indian industry is all about loud, gaudy and a lot of colors, we have got Prathyusha Garimella—a self-taught designer from Hyderabad who broke all these stereotypes and more. Her take on fashion and attitude is on point. Her collections are heavily inspired by European culture. ”But that does not make it any less Indian,” she says. When you look at her work and how they transpire into an unending choice of pristine pastels, you’d agree. 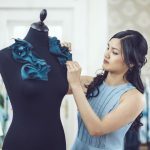 Her choice of fabrics are tastefully selected—satin cotton, tulle, and organza which add a beautiful sheen to the clothes. She stumbled upon fashion, and before she knew it she had turned into a designer label with the help of her friends. 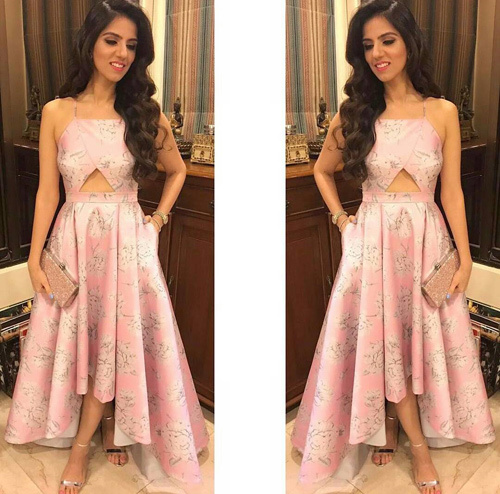 What worked for her is that she made her entry at a time when women also started inching towards pastels, muted and mellow down but elegant designs. She broke many myths with her collection and also one about the fact that pastels do not go with all skin tones. But she knew the knack of playing with the undertones in shades of ivories, mints and peach pink. Bollywood stars have been flashing her label around very frequently. Pratyusha is also turning into a hot favorite for celebrities. 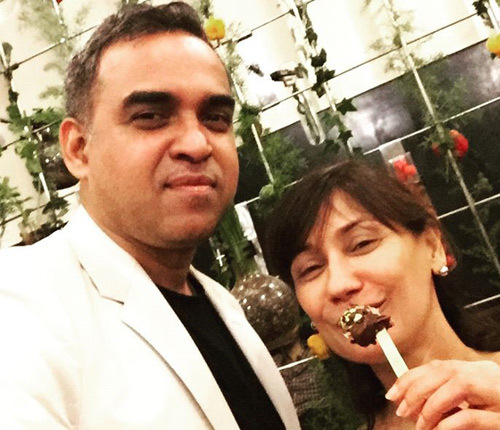 The duo has been redefining finesse over the last 15 years, working together to complement each other’s sensibilities in creating art. It is the attention to detail they give while balancing the fabric with the color, embellishments with design and surfaces to silhouettes, tactfully. Also, they are a label that focuses on affordability and wearability as much as about comfort and style. And that’s what is unique about their luxury pret. They deliver impeccable quality and their garments are all hand crafted. Grace and elegance come from a deep sense of understanding of the understated, and that’s why they can not only grow their clientele but also find a permanent place in the customer closets. Their take and approach towards fashion is that understated can be used not just for luxury pret but also couture. They moved ahead with the idea and launched a new collection with the same conviction, and it turned out to be a huge hit. With an expansion plan of nine standalone stores apart from the others they retail, they are not stopping anytime soon. And, they shouldn’t either. A graduate from National Institute Of Fashion Technology, Hyderabad and Post Graduation from Parsons College Of Design, New York Archana worked her way up the fashion ladder, rather quickly and made a name for herself. She has an interesting take while designing clothes, where she tries to experiment with the structural design of the dress. She likes playing with the cuts, ombre effects etc in proportions without compromising on the aesthetic element. And, her label is known to be supremely elegant yet simple and understated. Her collection ‘Frou Frou’ which literally translates to ‘sounds of a fabric.’ Like they say beauty is in the details, but when you look at her dresses, it’s more like beauty is in the hidden details. Archana Rao’s Spring-Summer collection in 2015 established her in the industry where she found her passion. It was named ‘The Apartment’ and took inspiration from a vintage set up from Paris. It was a beautiful melange of nudes, pastels, ivories and blushes that slowly transitioned into a stronger color palette of green, amber, etc. It is a feast to the eye and truly a show-stopping collection. This promising label is soon expected to open a flagship store in her hometown, Hyderabad. We really look forward to it. Another designer from Hyderabad who made it big and to Vogue’s list of Top 9 Upcoming International Designers. Her claim to fame was her Kalamkari collection that took the industry by storm. All her collections infuse traditional designs by keeping abreast the global trends. Simple, soft and sustainable fashion, that’s what her label is all about. Sustainable fashion as a concept is kind of interesting because the idea is not to launch seasonal clothing but work with the existing ones by re-inventing and re-interpreting the existing ones and using them as separates. She has also been invited to the Global Sustainable Fashion Week held in Budapest, Hungary will showcase her ‘Zero Wastage’ collection. All of this by recycling and upcycling which makes her unique, rare and puts her apart from everyone else. 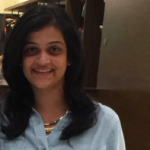 Kresha Bajaj is a name creating a buzz in the fashion industry. We’ll talk about that in a minute. ‘Koecsh’ a label that is winning hearts rapidly is known for bespoke bridal wear. Talking about bespoke she created a lehenga for her wedding with their love story etched on it. She did this for her engagement and wedding, something that blew everyone off like never before. It’s now a big part of her label. An Indian actress got it customized and is now available to whoever is interested in this. For some, it might seem over the top, but path breaking designs like these can never be over the top. An thorough understanding of the craft and creative quotient; and it’s safe to see what you don’t really see every day. And, that’s why I’m not surprised that she has gotten a lot of attention from all over the world especially London and Australia. At the same time, she designs ready-to-wear dresses for women, with the prime focus on the personality. Enhancing flattering parts and concealing the not-so-flattering ones. Anything from an LBD to corset or bustiers, you name it and she has it for you. She strikes a right balance, and it takes grit and conviction along with a passion for staying ahead of her time, considering the talent pool out there. The gap between the lip and the sip can sometimes cost people their careers, but talent like hers is here to stay. 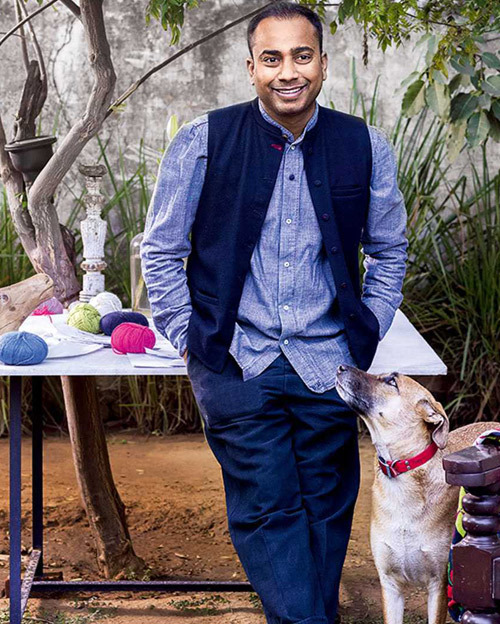 A designer who hails from Rajasthan always rooted for designs that are simple and influenced by the land he belongs to. 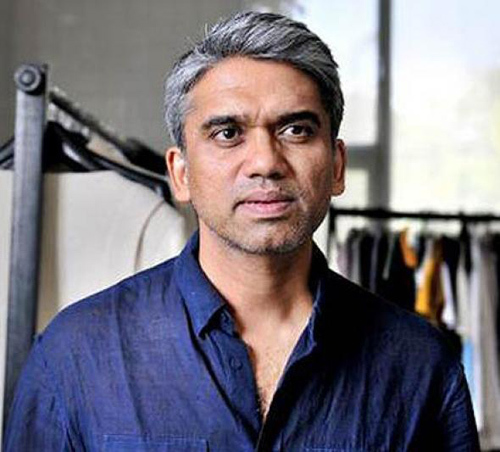 He was one of the very few designers in India to launch a label for both men and women. 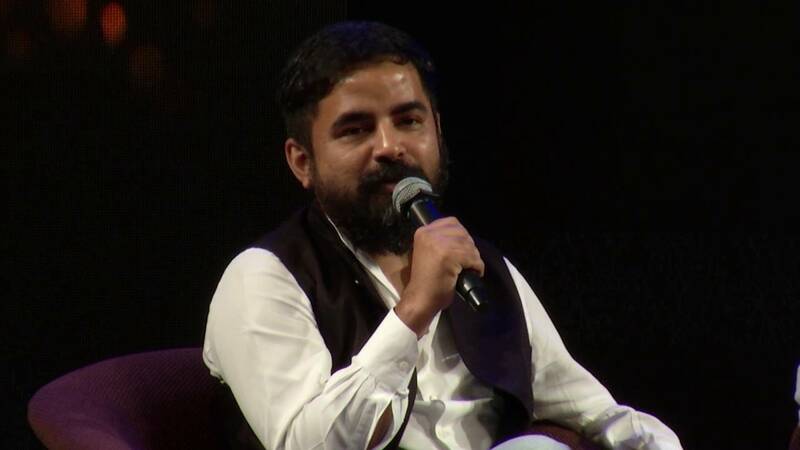 After graduating from NIFT in Delhi, he worked for two years both in India and abroad post which he started something on his name, that is going strong for the last two decades. The attention to detail, finesse and modern silhouettes with Indian touch brings opulence to the overall aesthetic of his outfits. He works in closel collaboration with fabric mills in India and has gotten into a lot of tie ups for research and development. His work focuses not only on machine and process-oriented techniques but also extensively on handmade and people driven methods. His work is being featured consecutively at all the top fashion weeks, including Paris Fashion week. He is also a recipient of many prestigious awards across the world. A truly commendable designer, that we all need to follow not just for his fashion sense but also to get inspired by his sensibilities. A fashion maverick of sorts. His work and success are huge that makes it difficult to comprehend the milestones, stories, and collaborations. Hails from a small town in Kashmir, completed schooling in Srinagar and moved to St. Stephens College. The first stage of his career started when he began working for his brother’s clothing company in 1986 and soon started a collection in his name in 1990. His flagship store is in Delhi followed retail stores in most of the major cities in India. His clientele grew over the years and now includes the likes of Uma Thurman, Pamela Anderson, Anna Kournikova, Naomi Campbell, etc. Rohit Bal is one of those designers who understands the psyche and energy of the fashion world which is apparent in his collections, each one is better than the other. Your sister is your first best friend, you will definitely understand this if you have one. 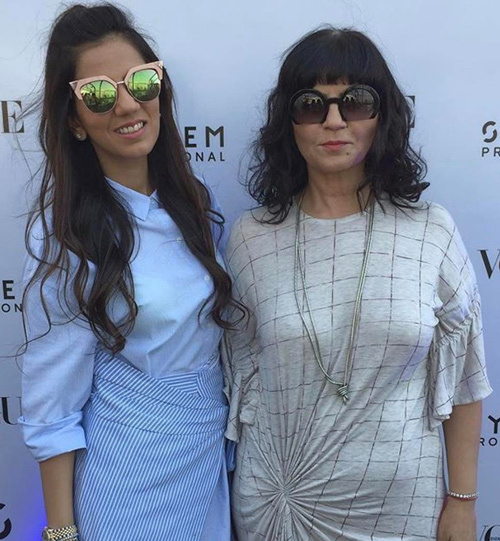 These sisters started a brand together 12 years ago, with an intent to start a label that would focus on bespoke and cocktail dresses, evening gowns, etc, which was way progressive and futuristic for Indian market when they began. In retrospect, it might seem like a scary idea for most of us to venture into. However, the sisters did not let any hindrances come in their way. People prefer luxury couture labels if they are investing that kind of money. Yet they believed in their idea and went ahead. They have slowly but steadily sold the idea of a home label and have been quite successful at that. They draw their inspiration from European culture and blend the elegance with understated designs which are not as easy as it sounds. After all, they grew up looking at fashion legends like Audrey Hepburn who is the epitome of timeless beauty and elegance. Anupamaa Dayal is a woman who likes to explore her roots but with a free-spirited attitude. She is fascinated with the idea of fashion because behind the nine yards there is a woman, her story, soul and a wholesome body she wants to liberate without worrying about being a particular size. The design aesthetic of her collection is empowering and inspiring. The touch and feel of the fabric and aura of her label are something I have always been awestruck by. She got into Bollywood in the recent times, but her reach has spread globally. 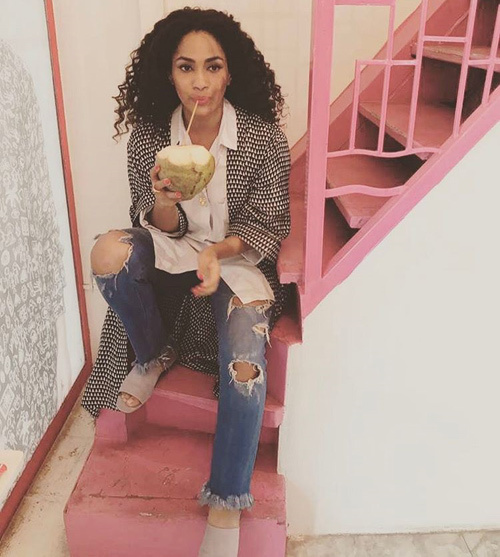 Her work was critically acclaimed by Vogue UK and other big names who also called her ‘UK’s next best friend.” It only gets better with time, and she is an unstoppable force with not just functional but social goals too. More power to such women. 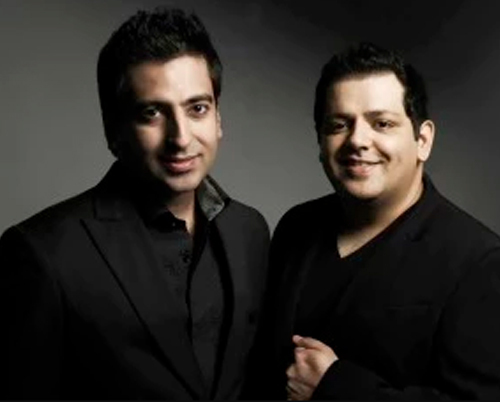 Rohit Gandhi and Rahul Khanna are another successful set of designers who started their label 20 years ago. A well-known name in the Indian film fraternity, their work is mostly contemporary influenced by modern art. They are all about sophisticated, minimalistic and understated designs that look luxurious and classy. They have been part of most of the major fashion shows that happen in India and abroad. With one parent brand and two pret brands that are a luxury but ready to wear, they are growing to be stronger than ever. When I first read about her and looked at her collection, I was taken aback by her take on contemporary designs. And that’s why it does not come across as too much of a surprise that she was named ‘Designer of the year’ by Elle magazine. She marries traditional and artisanal Indian themes skilfully to arrive at contemporary design silhouettes that stand out as work of art. She uses embellishments as an important technique to expose the colors. You have to check her collection to believe it. Spectacular and a feast for the eyes in a true sense. 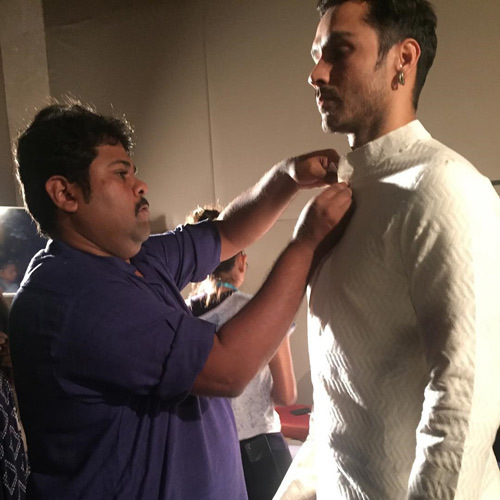 So, here ends our list of the top fashion designers in India. I was right when I said that it’s overwhelming, right? And yes, it was not an easy thing to do. Hope it was an equally interesting and inspiring read. Who is your favorite from this lot? Let us know? We’d like to hear it from you too. Until then, Happy Shopping!